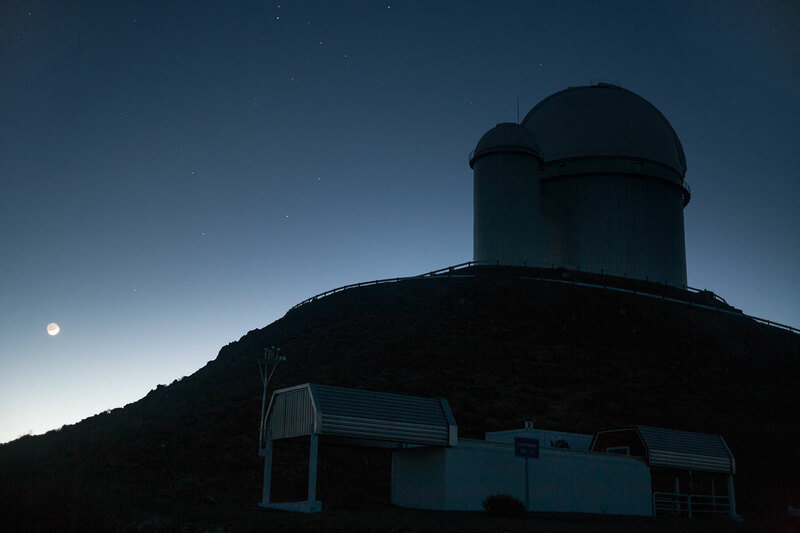 The transition from night to day is captured in this new photograph of ESO's La Silla Observatory. The Moon hangs low to the left of this image, diluted by the morning Sun. 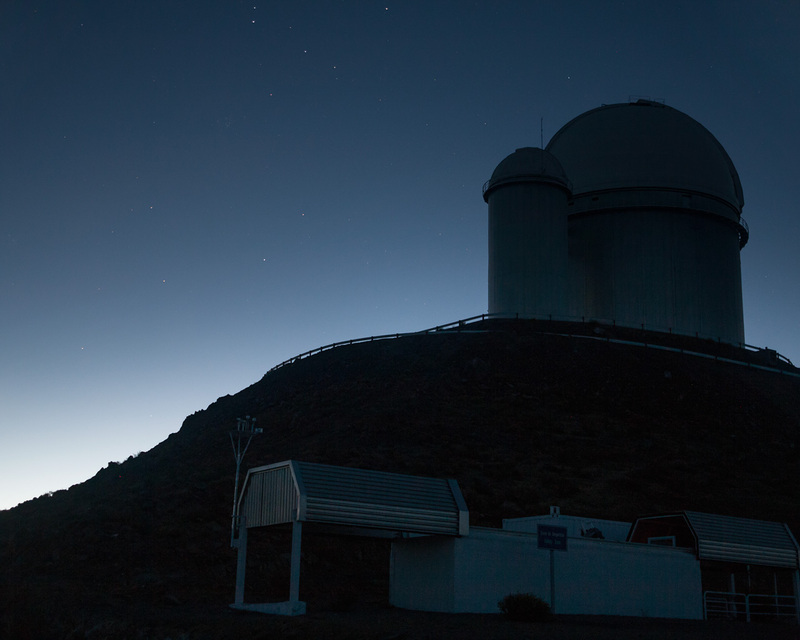 This image, taken by ESO Photo Ambassador Alexandre Santerne captures ESO's 3.6-metre telescope on the top right. 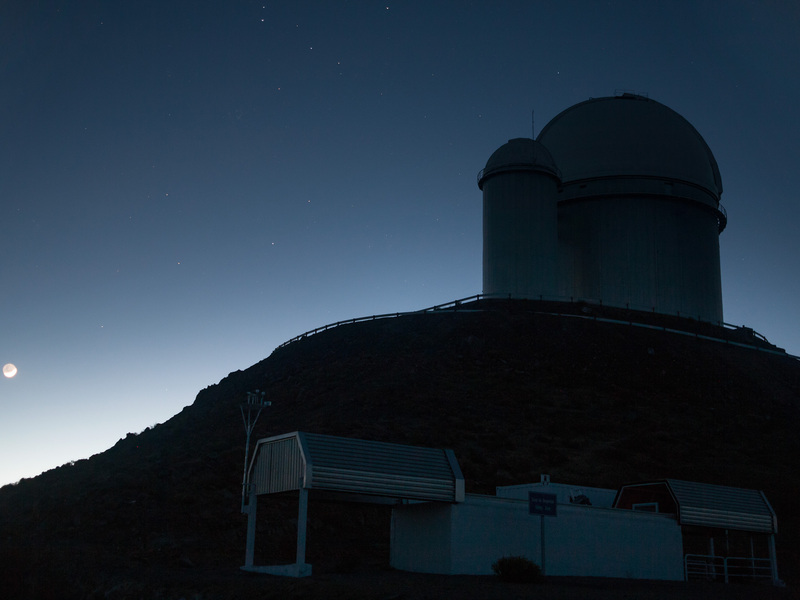 The telescope, which is located 2400 metres above sea level and is here silhouetted by the shadows of dawn, was inaugurated in 1976. It currently operates with the HARPS spectrograph, the most prolific exoplanet hunting machine in the world. La Silla is ESO's first observatory. Inaugurated in 1969 it is located 600 kilometres north of Santiago at the edge of the Chilean Atacama Desert. La Silla was the largest astronomical observatory of its time, leading Europe to the front line of astronomical research. As illustrated in this image, the skies above La Silla provide crystal clear conditions for astronomical viewing with over 300 clear nights a year. Dotted with distant stars, this is a window onto the vastness of the Universe for ESO's telescopes.